Tuilagi and Denny Solomona were sent home from a training camp in August for returning to the team hotel drunk in the early hours of the morning. England coach Eddie Jones has told Manu Tuilagi he has one more chance to prove he has the right attitude to be an England player. The Leicester Tigers centre and Sale wing Denny Solomona were sent home from the last England training camp in August after they returned to the team hotel drunk in the early hours of the morning. 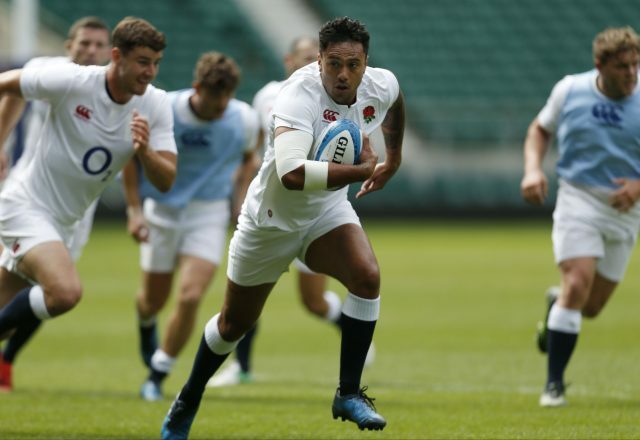 Speaking at the Soccerex Global Convention in Manchester, Jones said he had “been up to the Midlands” to meet one of the two players and made it clear that he still considers Tuilagi to be a talent worth persevering with. “Everybody makes bad mistakes, we’ve all done it,” said Jones. “So we’ll just assess them at the next period in time. I’ve already met one of them face to face and if their attitude is right we’ll pick them, if not, we won’t. 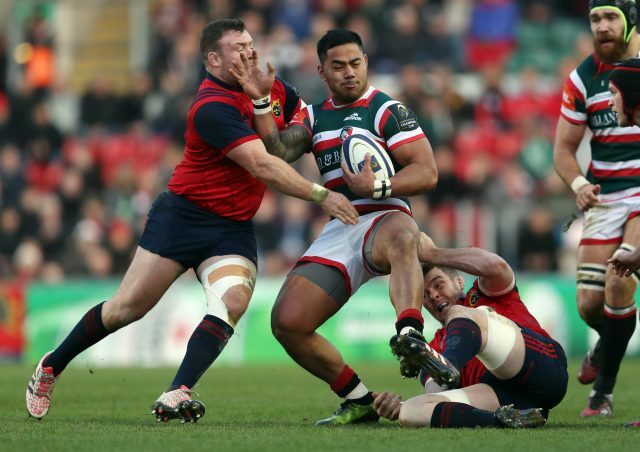 When asked if he was making a special case for the 26-year-old Tuilagi, given his shocking disciplinary record, Jones said: “He’s only done it once with me, the same with Denny. SQUAD UPDATE | Denny Solomona and Manu Tuilagi have been sent home today from England’s training camp following team culture issues. Last month’s hotel incident was only the latest in a long line of disciplinary issues for the Samoan-born star, who has only played 17 minutes for England since Jones took over in 2015 and has not started a game since 2014. Injuries have played a huge part in his absence from the team but he has also missed games for bad behaviour, with Jones’ predecessor Stuart Lancaster dropping him from the 2015 World Cup squad for assaulting two female police officers and a taxi driver. At the 2011 World Cup, he was warned for jumping off a ferry in Auckland and fined for wearing an unapproved mouth guard carrying the name of a sponsor. He has also served a ban for punching Chris Ashton in 2011 and was ticked off in 2013 for making a “bunny” gesture behind the then Prime Minister David Cameron’s head in a pre-Lions tour visit to Downing Street. Jones, however, has described Tuilagi as a player capable of “demolishing” the world champion All Blacks, as he demonstrated in his greatest performance for England, the famous 38-21 victory over New Zealand at Twickenham in 2012.